Michael Emerson is associate senior research fellow and PhD supervisor at post-graduate research institute the Centre for European Policy Studies. He focuses on EU foreign policy. He has an MA from the University of Oxford in Politics, Philosophy and Economics, and honorary doctorates from the Universities of Kent and Keele. Emerson worked for the OECD in Paris (1966-1973), the European Commission (1973-1996), and as economic adviser to former EC President Roy Jenkins and as the Head of Delegation / Ambassador to Moscow (1991-1996). 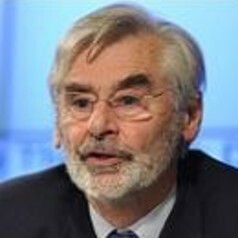 He has also been senior research fellow at the London School of Economics (1996-1998) and has numerous publications on EU integration, EU relations with the wider European neighbourhood and contemporary European conflict areas.